Over the last few weeks, I’ve made a list of 20 “bucket list” destinations I’d like to visit in 2013. As of January 1st, I’d already crossed one of those off the list. 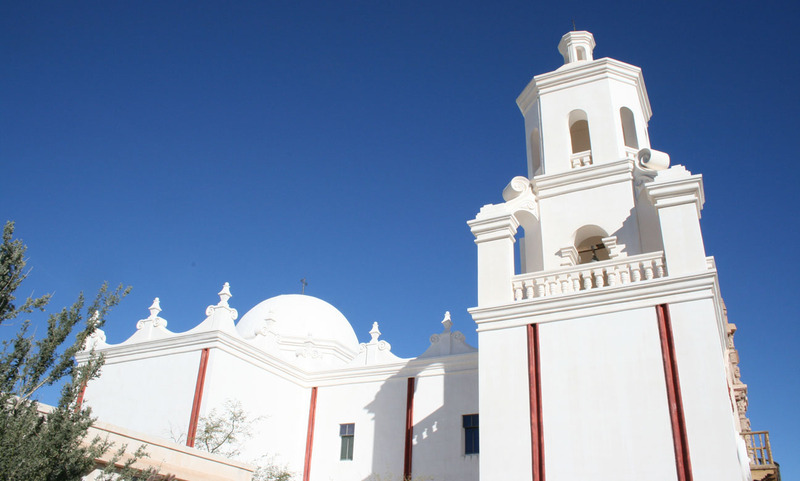 On Tuesday’s road trip, I went to a national park dedicated solely to cacti, traveled the only interstate in the country that’s marked with metric signposts, and stepped inside a historic church that was over 215 years old. Quite the successful day! 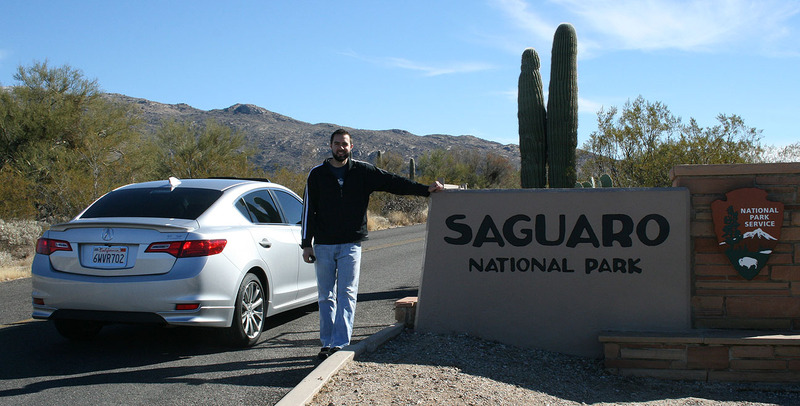 Saguaro National Park is so-named for the Saguaro cactus. 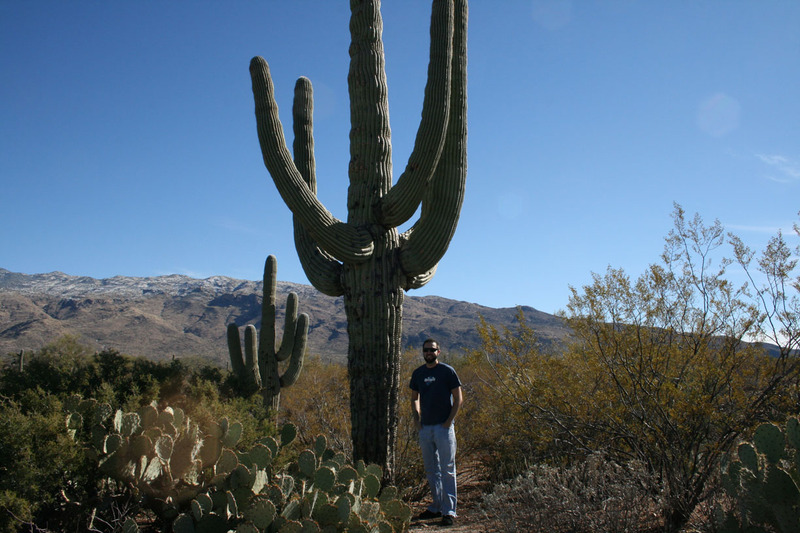 These cacti can grow as high as 70 feet and live 175 years or more. They dot the landscape in many parts of Arizona, but they are most concentrated in the area which in 1994 was designated as a national park. Saguaro NP is unique in that its total 91,000 acres are split up in two separate “districts” – one which lies east of Tucson, and one to the west. 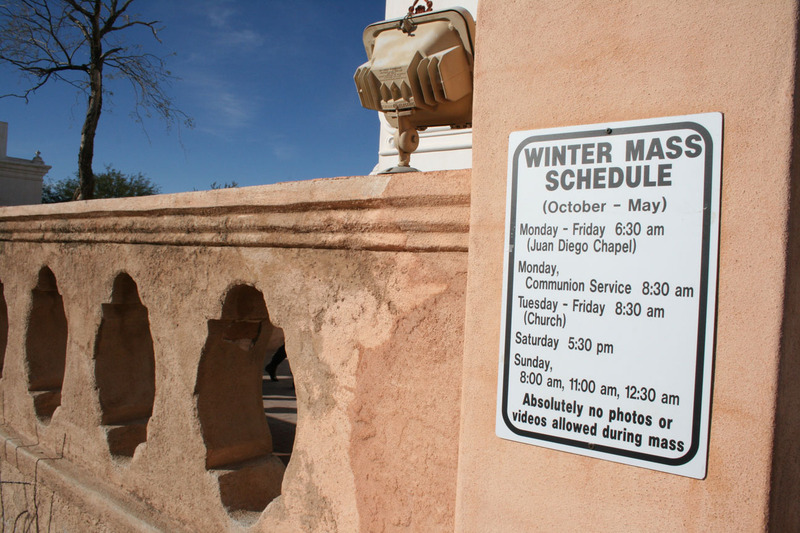 For my New Year’s Day visit, I traveled to the east district, also known as the Rincon Mountain District. 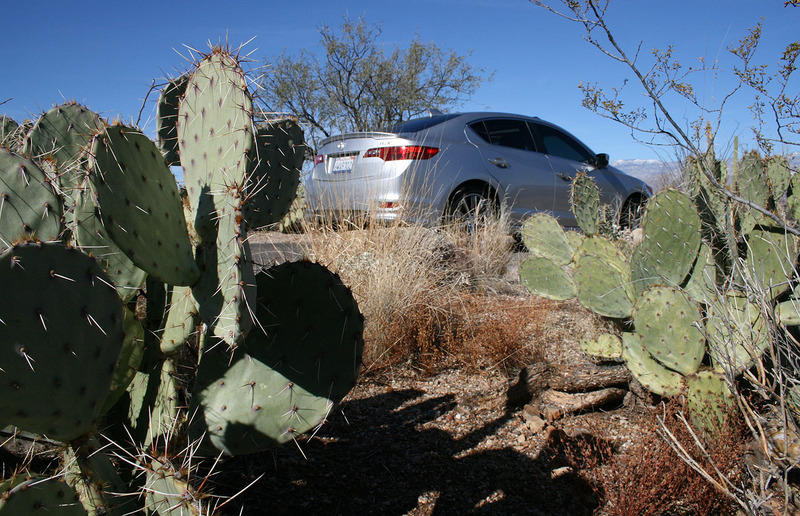 It was about a 300-mile round trip drive in the ILX. Departing Scottsdale on a chilly morning. 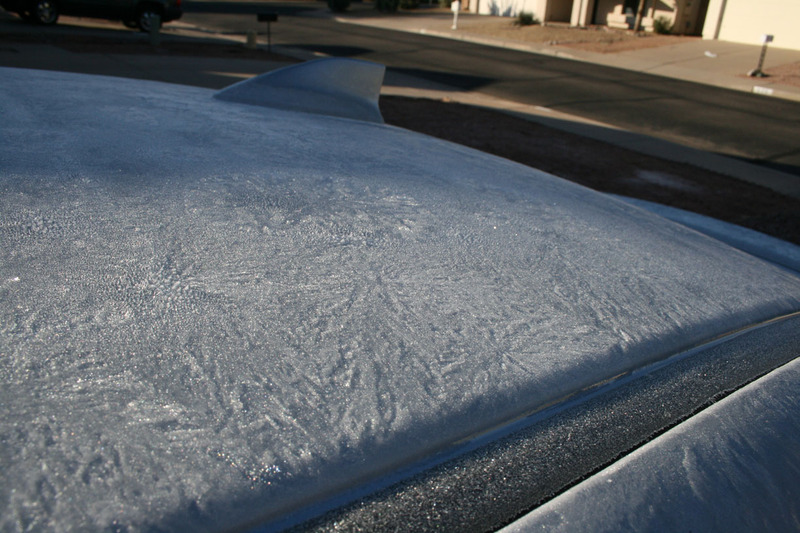 It’s a rare sight to see frost on the cars around here! 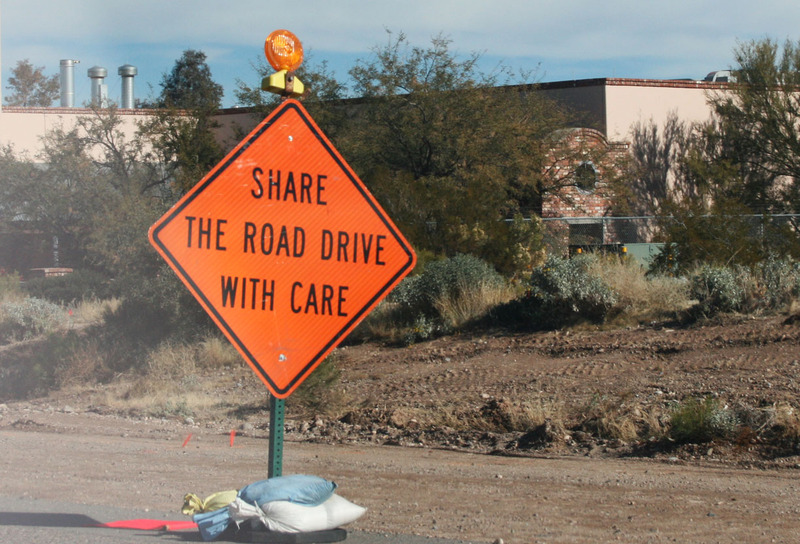 When I arrived in Tucson and fought construction on Houghton Road, I was perplexed by the wording on these signs. Could the placement have been done differently to make the message more clear? As it’s currently written, I feel like I’m being asked to share “The Road Drive” with care. 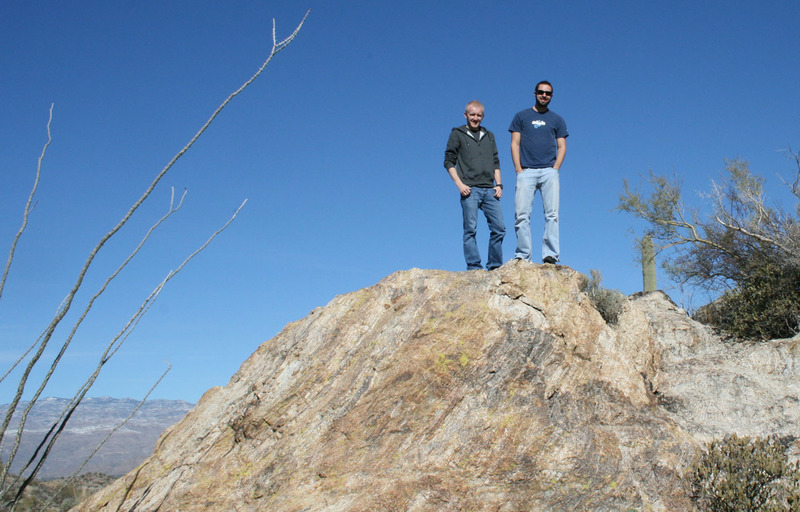 Saguaro’s east district welcomed me and my friend Josh. He’s lived in the Tucson area for 10 years and this was his first time entering the park. The entrance station was busy with holiday visitors like ourselves. The only day of the year that this park closes is Christmas Day. The fee was $10 and is good for a week in case I decide to go back for a closer look. 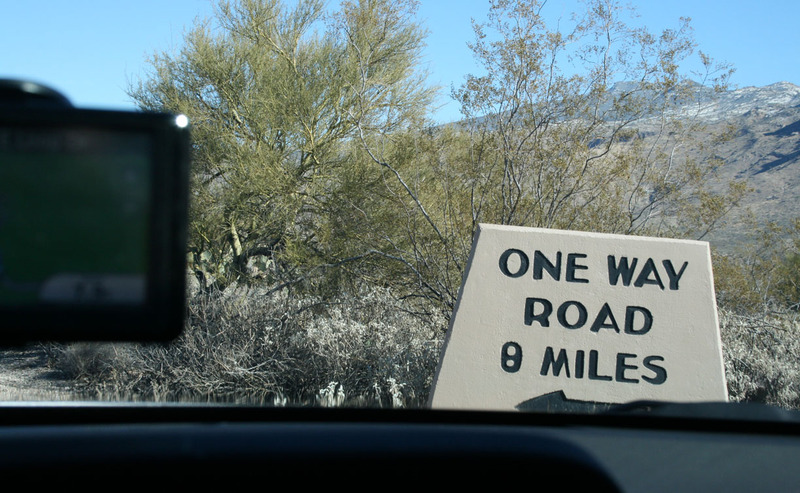 There’s an 8-mile one-way scenic loop that Josh and I took. It’s a curvy one-lane road that would be a ton of fun to drive if the speed limits weren’t so crazily low. That’s right. FIVE miles per hour. They really want you crawling around these corners! We did see quite a few walkers and bicyclists for safety’s sake, the speed limit is probably a good idea. A few pictures were taken as photo opportunities presented themselves. 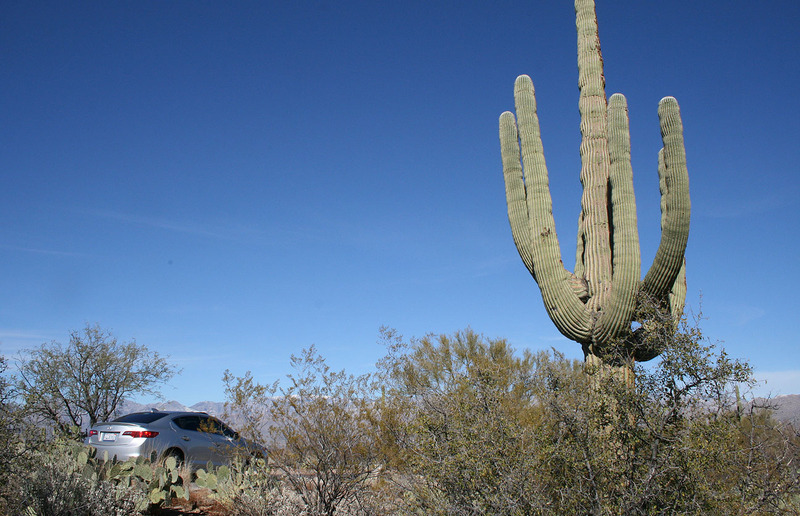 This saguaro in particular is probably pushing 200 years old. They’re a highly protected species. In other parts of the state, I’ve seen these cacti “braced” / propped up by wooden boards if the land / root system is disrupted. This picture of me standing next to that same cactus gives a sense of the size of these monsters. 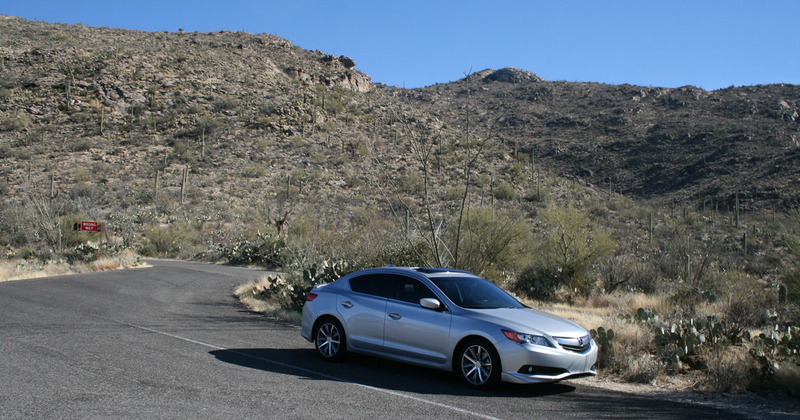 Josh and I took the opportunity to park the ILX in one of the scenic turnouts and do a little bit of hiking. The weather was great and the air very clear. 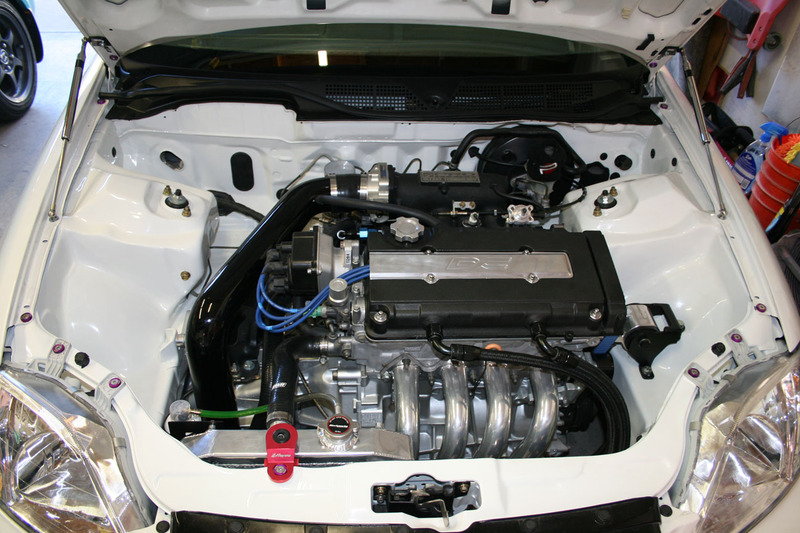 Josh and I stopped by his friend Fred’s house to see an immaculate 2000 Honda Civic coupe with the cleanest (wire-tucked) engine bay I’ve ever laid eyes on. 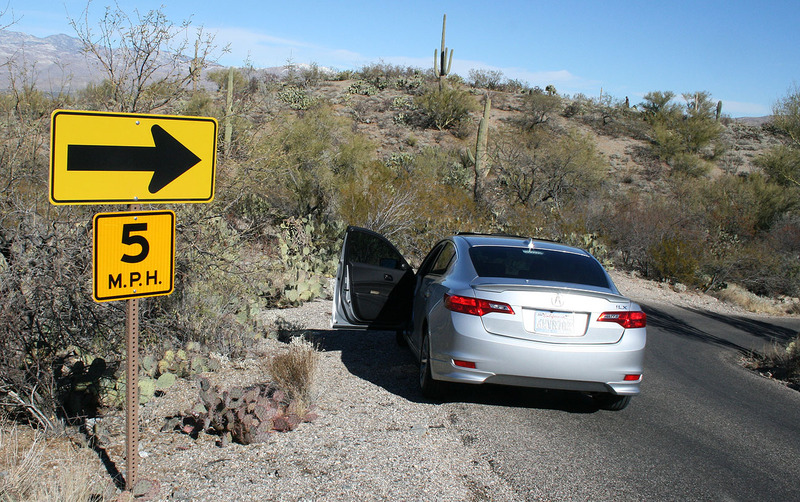 I headed toward Tucson again but this time veered south from I-10 west onto I-19 south. This interstate is the 4th shortest freeway in the country, at only 63 miles in length. Better said, it’s 101 kilometers in length. And motorists better familiarize themselves with kilometer calculations because this is the only freeway in the country that’s currently signed in metric units of measurement. This notice at the north end of I-19 advises drivers that they’ll need to pay attention to the distances in kilometers, not miles. Shortly thereafter, Irvington Road comes up 1 kilometer away. 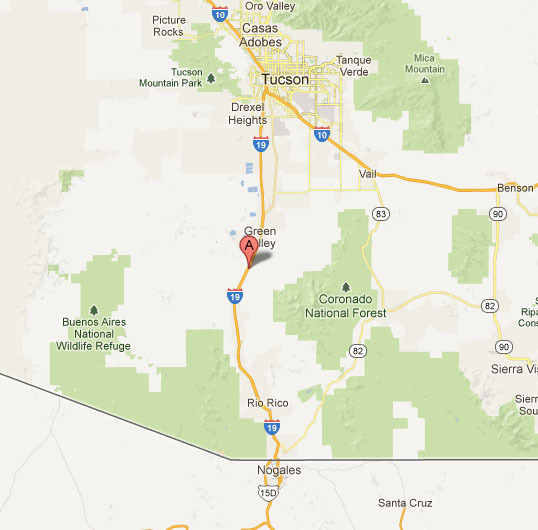 Interestingly enough, the speed limits on I-19 are still in miles per hour, not kilometers per hour. 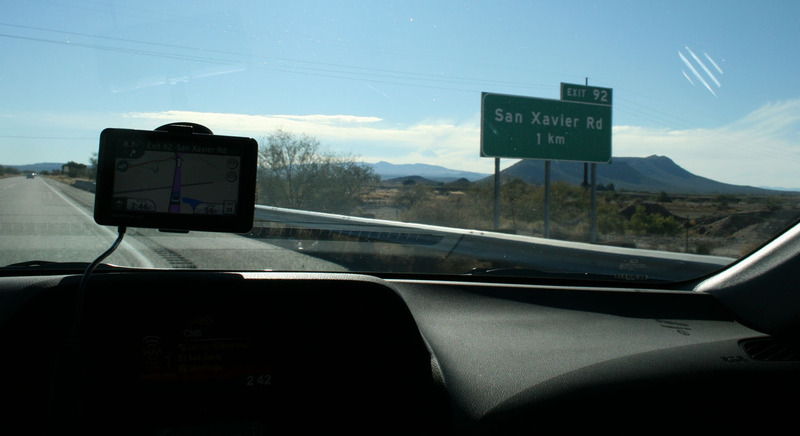 The reason why this interstate was set up with metric signs is that at the time of construction in 1972, it was thought that this effort would push toward the metric system and that perhaps this would be the first of many freeways in the U.S. to begin using metric distances. Such did not end up being the case, yet I-19 retains its existing signs. Talks have taken place regarding changing the entire freeway to “miles” but business owners have pushed back (they’d have to update their directions) so there has been little traction with that initiative. 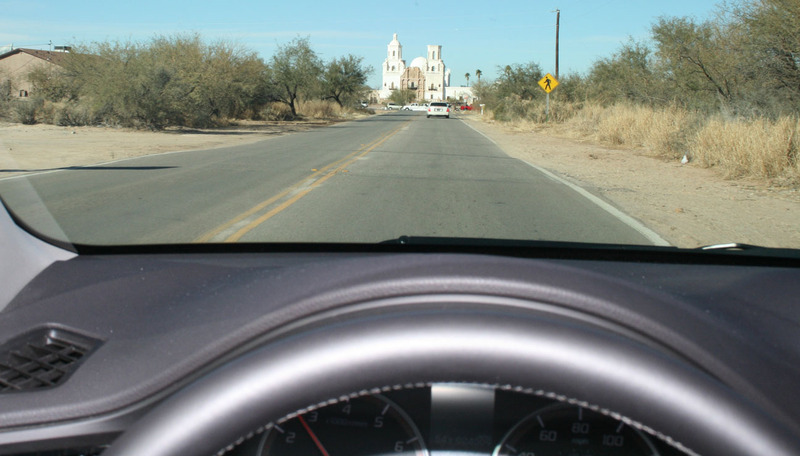 Here we go – arriving at the San Xavier Mission for my next destination. 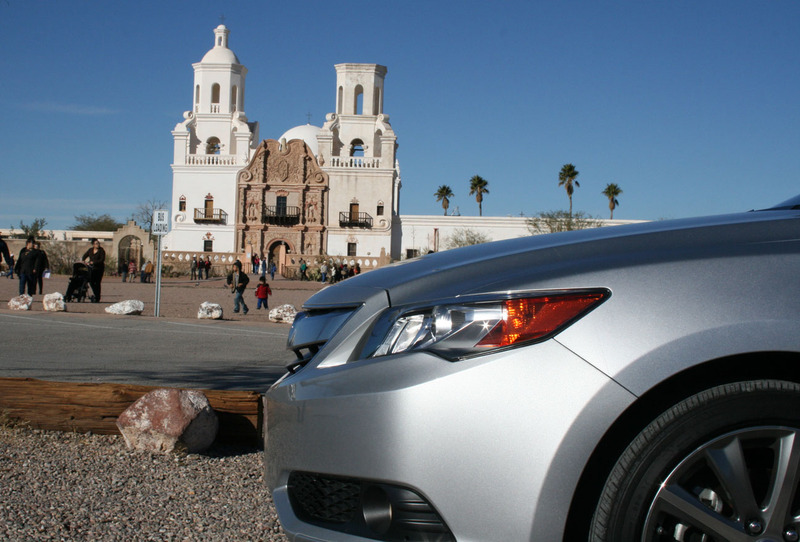 What lies ahead of my Acura ILX in this picture is a 216-year-old “White Dove of the Desert,” also known as Mission San Xavier del Bac. 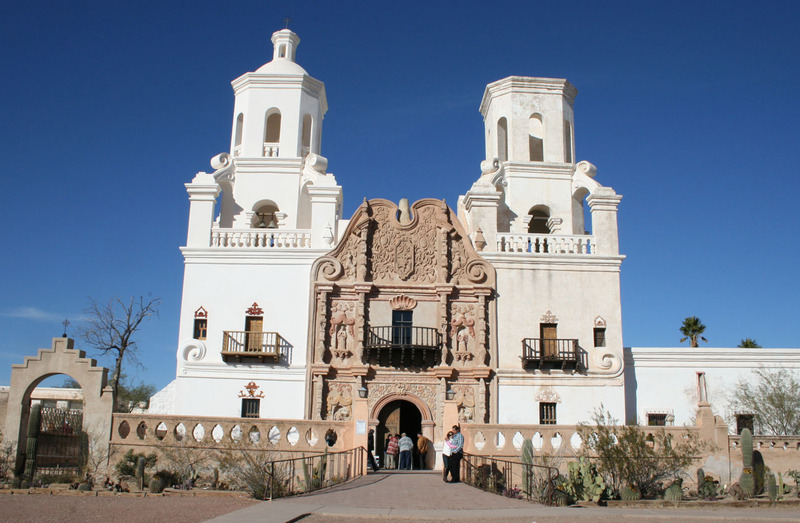 This is a Spanish Catholic mission located about 10 miles south of Tucson. Though the site was founded in 1692, the building seen here was constructed over the 14-year span of time from 1783 to 1797. Considering its age, I’m surprised just how few restoration efforts have taken place! Entrance was free of charge. I would have liked to visit the gift shop, but it was closed for the holiday. 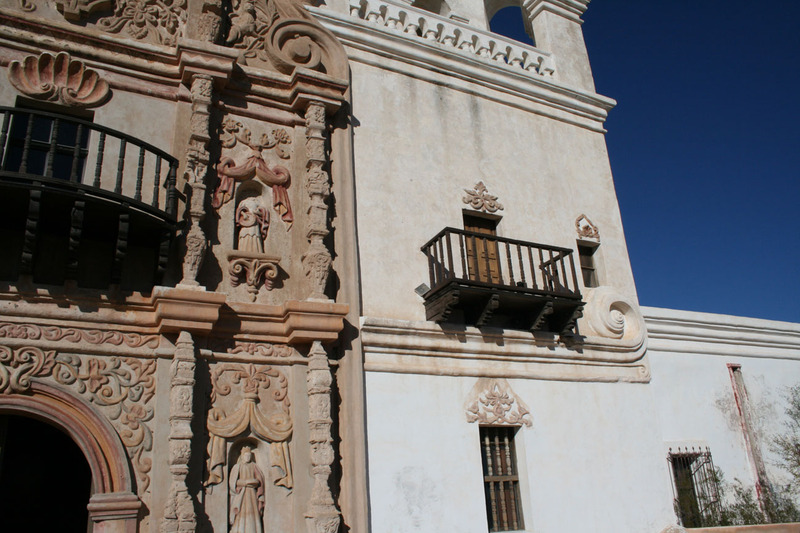 Exterior is covered in a traditional mud plaster that was refinished within the last couple of decades. 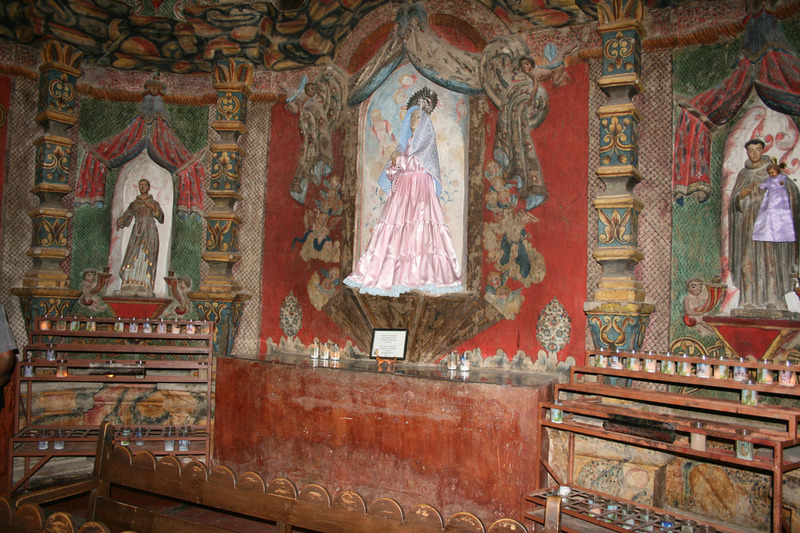 The artwork is pretty ornate as seen here. 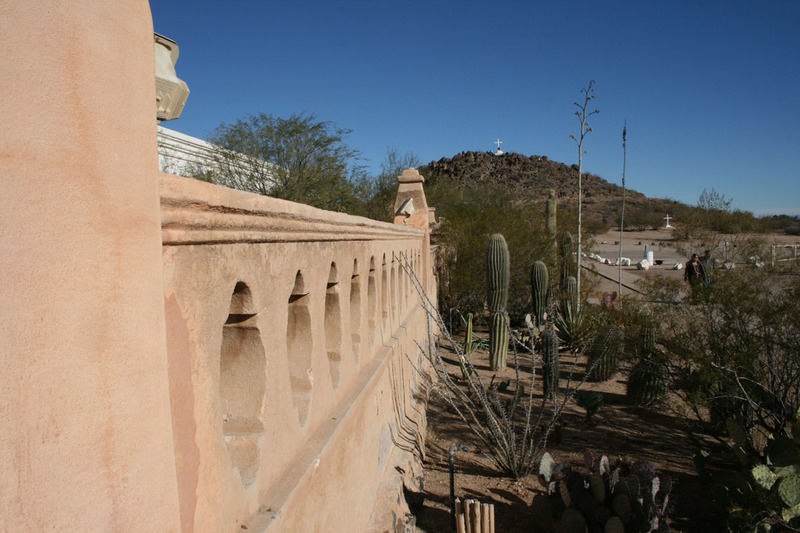 The grounds are surrounded by cactus gardens. 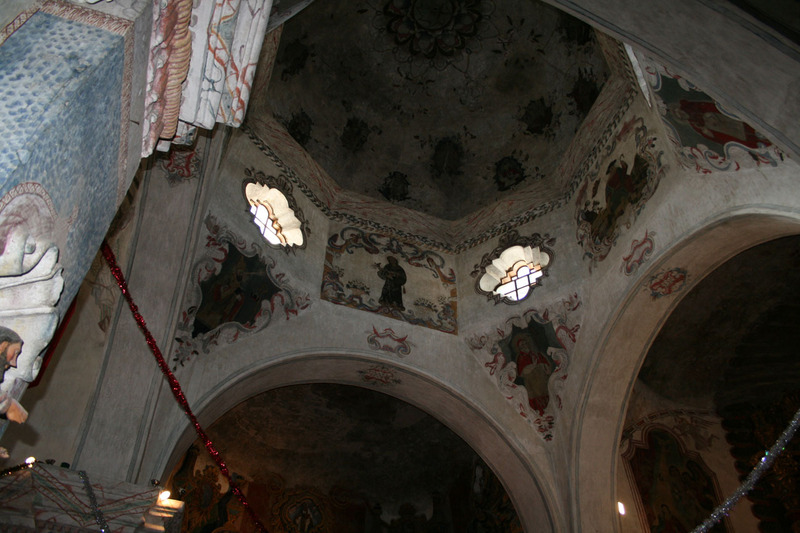 Inside, there are multiple chapels. 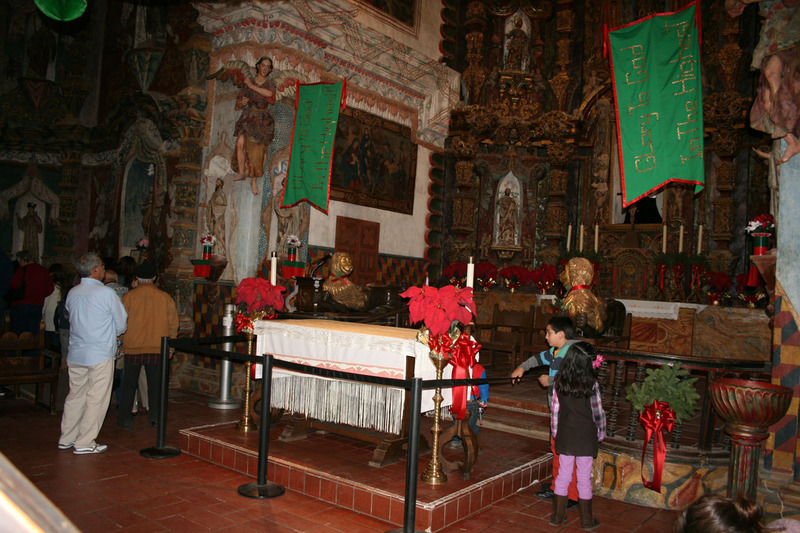 The decoration here is supposedly very similar to what it would have looked like when the mission was new. Looks like they’ve still got quite a bit of Christmas decor up. It was a humbling experience to be in this place that is sacred to so many. I saw people paying their religious respects quietly. To the east, there was a hill with a cross on top that people were climbing up. 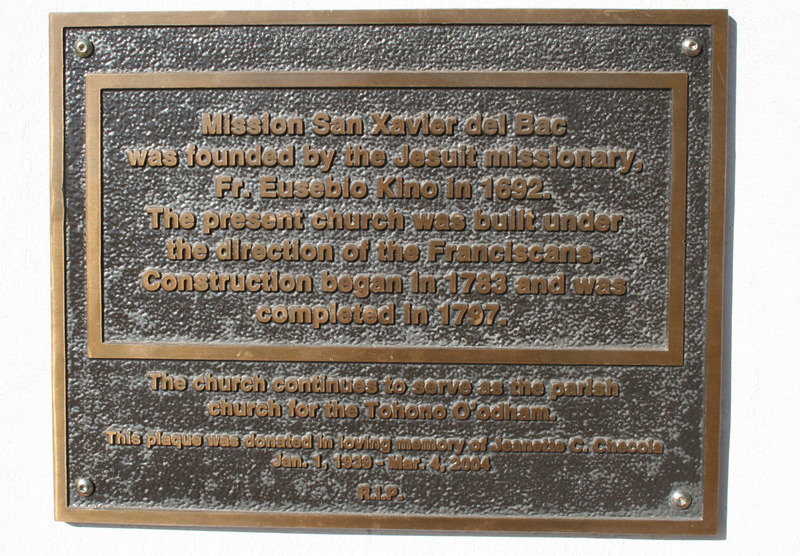 Some background on the site, from a placard near the south (main) entrance. 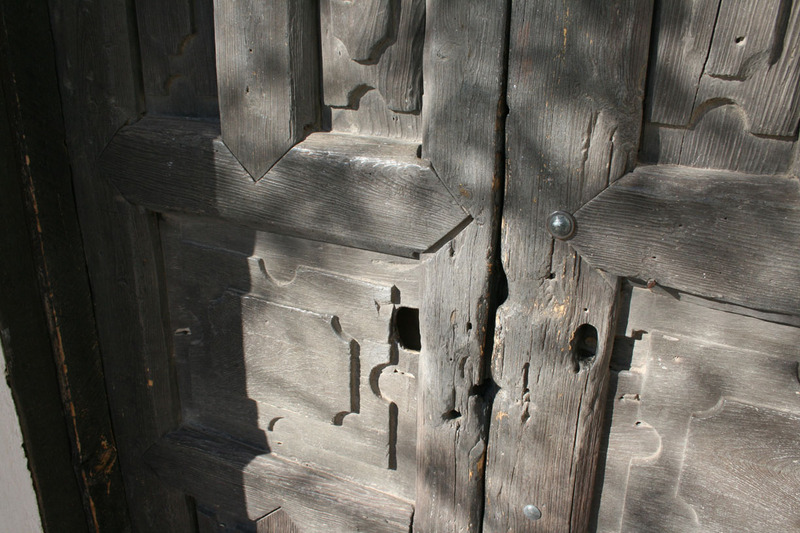 I wonder if these wooden doors are original? 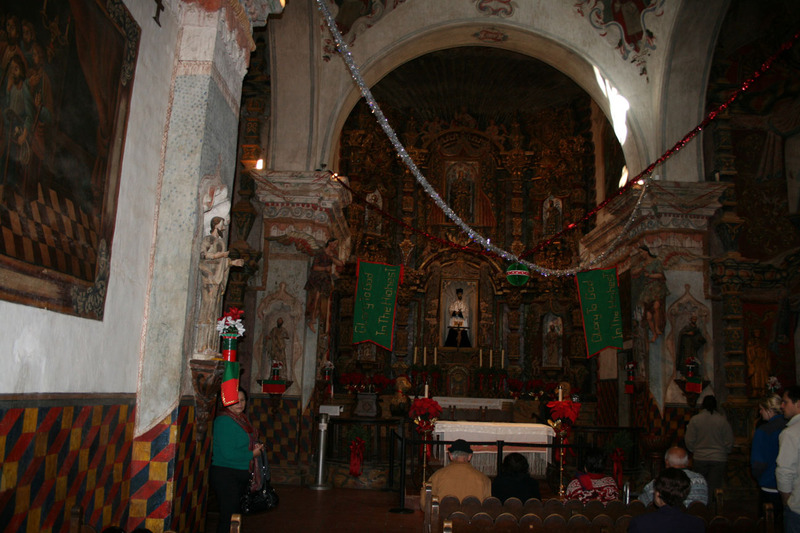 The mission was designated a historic landmark 50 years ago in 1963 by the U.S. Department of the Interior, National Park Service. Hope you enjoyed the drive! 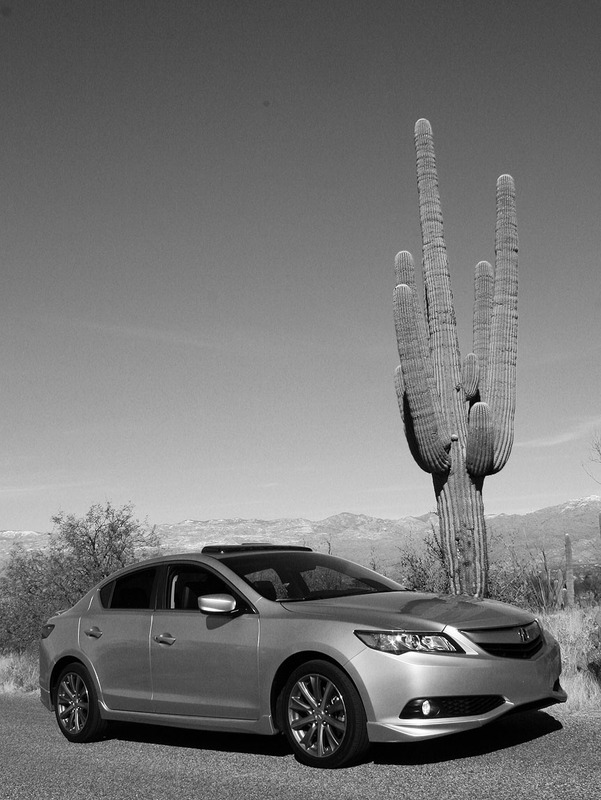 For any who might find it of interest: Acura ILX sales performance reached an all-time high, with 2485 units selling in December 2012. It’s awesome to see the momentum picking up as we go into 2013. 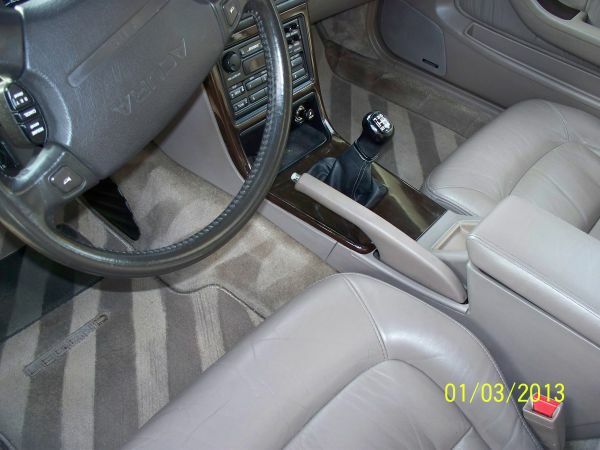 Lastly, did anyone else see this immaculate 1994 Legend L Sedan 5-speed on craigslist in Oregon? It’s rare to see a Legend in this kind of condition nowadays. Somebody scoop this baby up, please! $3,200 for 175k miles. 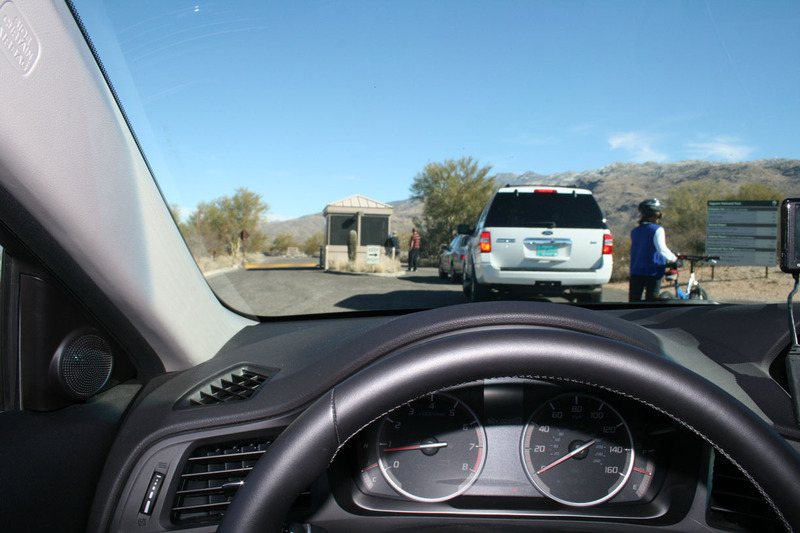 This entry was posted on January 4, 2013 at 5:03 pm and is filed under Arizona, ILX, National Parks, Road Trip. You can follow any responses to this entry through the RSS 2.0 feed. You can leave a response, or trackback from your own site. Beautiful drive! And it’s nice to see those blue skies. That sedan is tempting, too. Tyler, thanks! Yeah with our 300 days of sunshine a year we are definitely spoiled with blue skies. I’ll send some your way! Isn’t that sedan nice? I applaud the owner(s) for having taken such good care of it. Hope it finds a good home. Nice trip. The picture at the top with the Cactus trees in the sunset is beautiful. 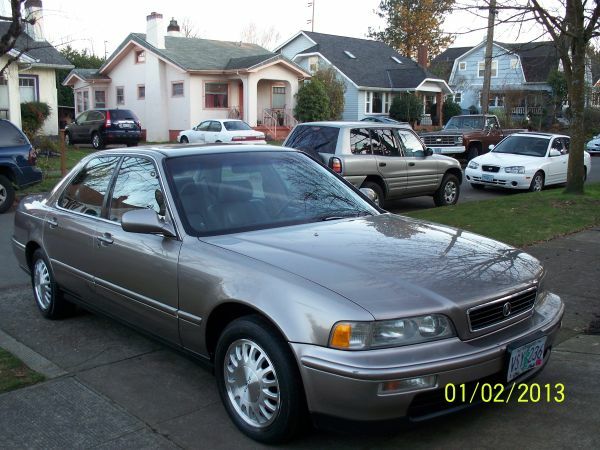 Also, that 1994 Legend sedan looks great. I love the rims. Those rims are very similar to the stock rims of the 1990 to 1991 Honda Accord EX but with even more spokes. Hey Carlos. The sunset pic I can’t take credit for since I was at the national park during the daytime, but I agree it’s an amazing one! I would love to go back to the park around dusk and get some great shots like that. The multi-spoke wheels on the Legend look great when they’re clean but they’re a challenge to KEEP clean. I used to clean the 16-spoke 15″ wheels on my mom’s 1993 Legend L sedan with a toothbrush! That sedan in Oregon looks familiar! Its nice to see blue skys even if its looking at them through your pictures! Dave, I owe it to you for the tip on that sedan! Thanks for sending. It’s not every day you see a Legend in that kind of condition so I thought my readers would enjoy it too. Sure enough, they are! The picture of that sedan is getting more clicks than anything else in this post, haha. Hope the weekend is treating you well. Tyson, you mention 20 bucket list destinations you will like to visit in 2013. Could you share with your audience what the other 19 will be? Carlos, the list started at 20 but even in just the last few days has had a few more tacked on. I’d rather not disclose all my plans for the year – gotta keep some surprises up my sleeves. But the list has some national parks, car meets, special roads, a couple of hikes, another ghost town trip, and the Bonneville Salt Flats! I hope I can squeeze in at least half of the destinations on the list I’ve made for ’13. Hey Tyson- cool roadtrip once again! And happy belated bday. We share the same month of Dec. I need to make myself a good bucket list for sure! Thanks Marc! Happy belated to you as well. 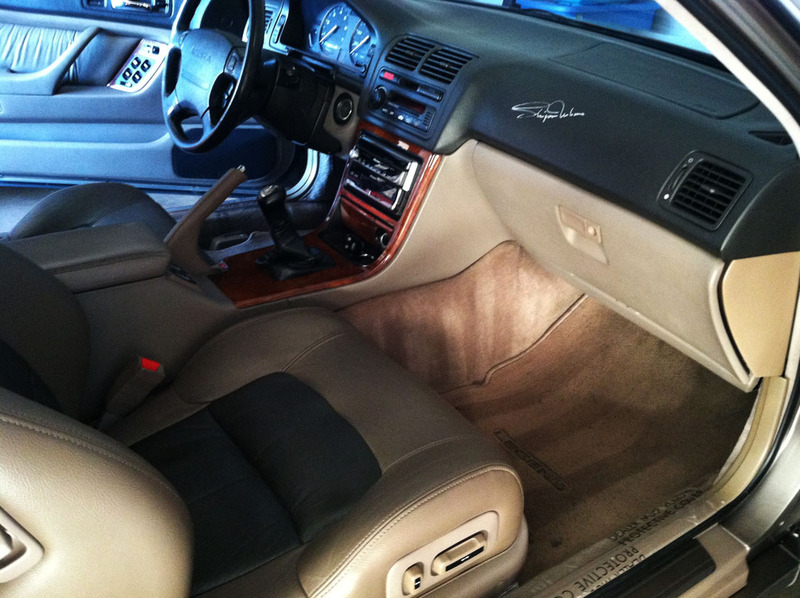 Are the Legend coupes safely tucked away in hibernation or have you had a chance to get them out much this winter? I hope that your plans in 2013 take you into Colorado. I hope to drive there one day but it is a long road there from Miami. The San Juan Skyway and The Trail Ridge Road are All American Roads. 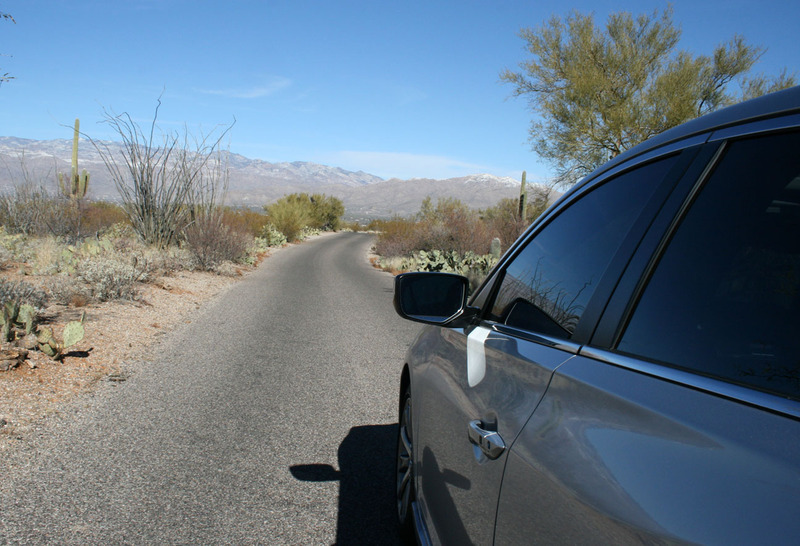 As i have mentioned in the past, All American Roads are considered destinations all to themselves. There are only about 27 of these roads in the country. My 2005 Acura Tsx has seen three of them. The Overseas Highway, The George Washington Parkway, and the Blu RIdge Parkway. Carlos, thanks for the tips! Colorado for me isn’t too far away, so I will definitely make a note of the roads you’ve mentioned. I had heard of Trail Ridge before – as I recall, it’s in Rocky Mtn National Park and it’s the highest-elevation paved road in America. Would definitely love to check it out. I’ve heard of Pikes as well. I’m going to do some research on San Juan Skyway. Phoenix to Denver is a 14 hour drive, I think. Maybe I’ll tackle that sometime this summer! If you end up making it out anywhere near here with your 2005 TSX, do let me know! I’ve done two of the three – the San Juan Skyway was beautiful, much more so (I thought) than the Trail Ridge Road. The 14 hour trip to Denver is nothing for you. It is practically in your backyard 🙂 just kidding. I will definitely let you know when I go out there. Also, let me know if your travels bring you down to Florida this year or the Blu Ridge Parkway in Virginia or North Carolina. 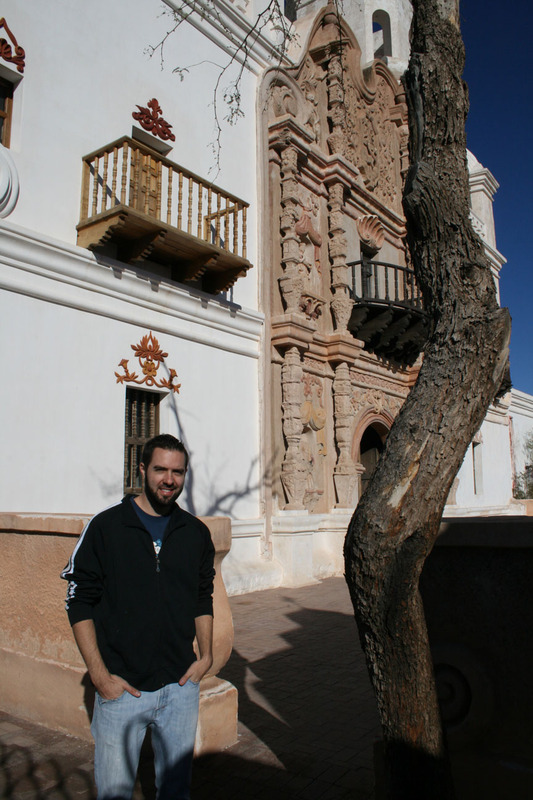 I am planning a return trip there later this year. 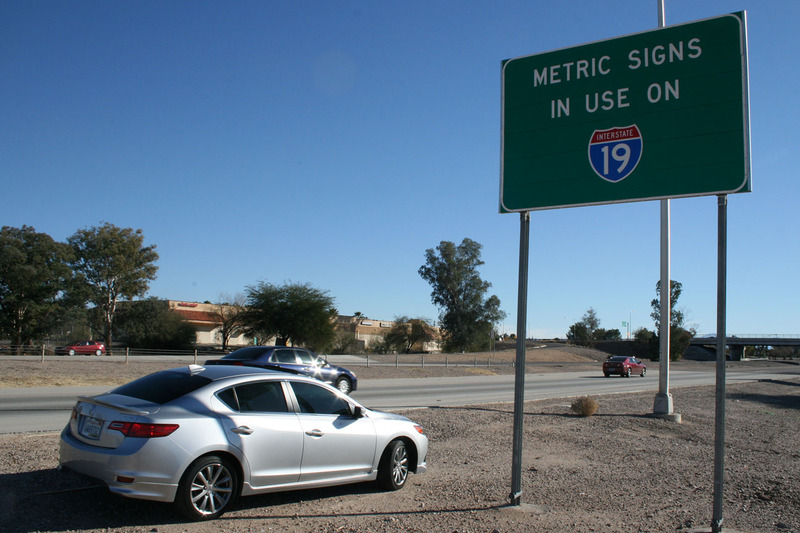 Actually, Interstate 19 was not signed in metric until 1979. This was the first full sign project on the highway, as it was completed shortly before that. 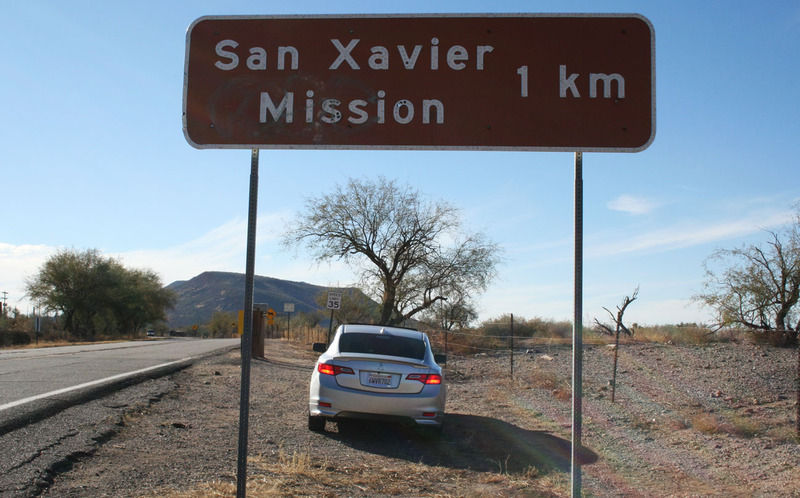 This was a pilot project and picked because of the isolated area and limited use of the highway (to Mexico/Nogales). ADOT planned to re-sign the road in 2008 but stopped due to last minute community opposition from Green Valley. I have not heard of any plans to restart signage, but some spot replacements in Clearview had occurred as of my last drive on the road…which I believe was with you! 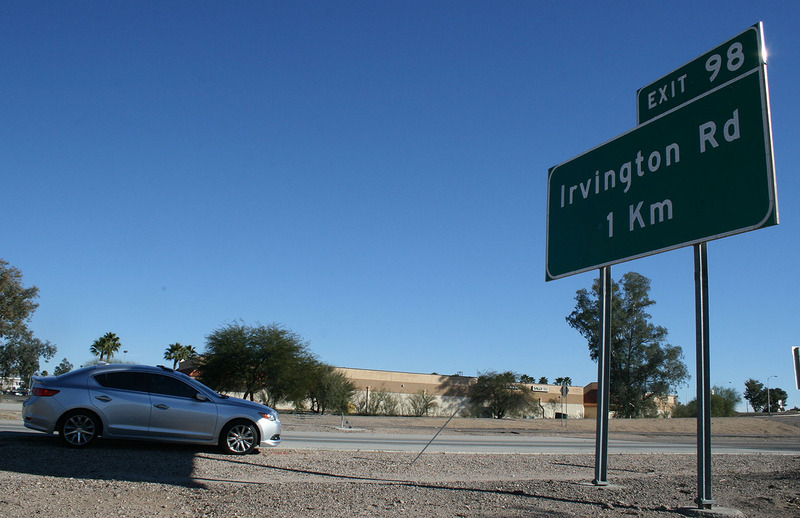 The northernmost section was all re-signed as part of the 2004 construction projects to rebuild the I-10/I-19 interchange (to eliminate the original trumpet interchange). Thank you! See, I need you to proof these posts before they hit the ground. I appreciate the fact-check. 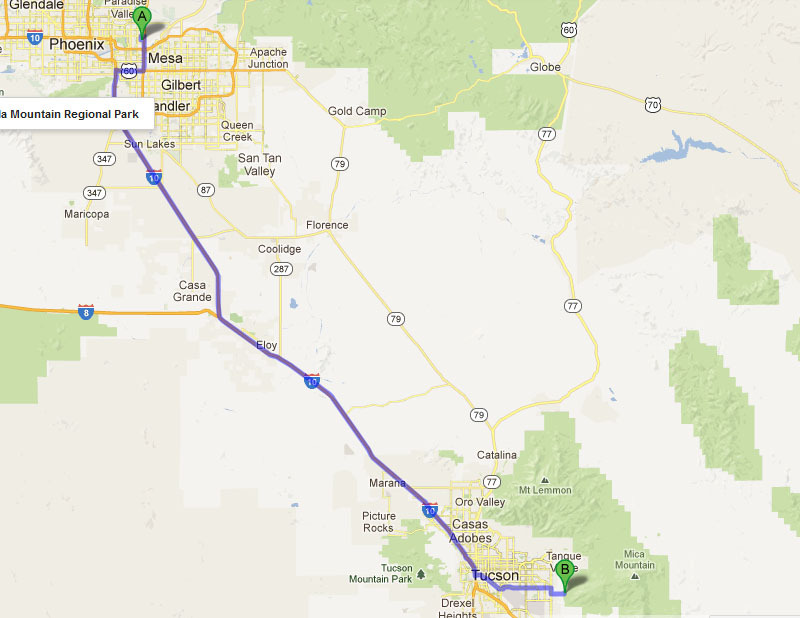 Sounds like you and I are both due for another trip down the entire length of I-19 sometime in the future. Remember that quaint little town park in Patagonia? Would love to check that out again. The last picture you have in this post shows your dashboard. I noticed you are going about 60mph and the rpms are close to 2600. Where you accelerating at the time or in cruise control? 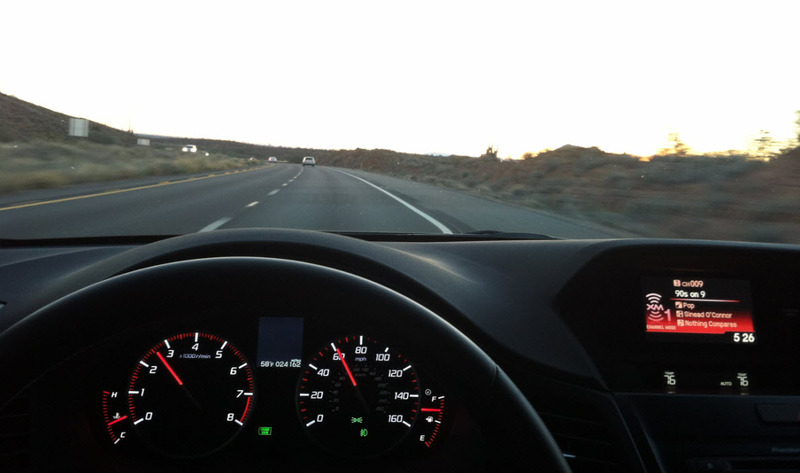 How many rpms does your car normally turn at a steady 60mph? My car with an auto transmission does about 2050 rpms at 60mph. In 2005, the automatic TSX was actually more fuel efficient than the manual because of the gearing. It is normally the other way around where manual cars are usually more fuel efficient. 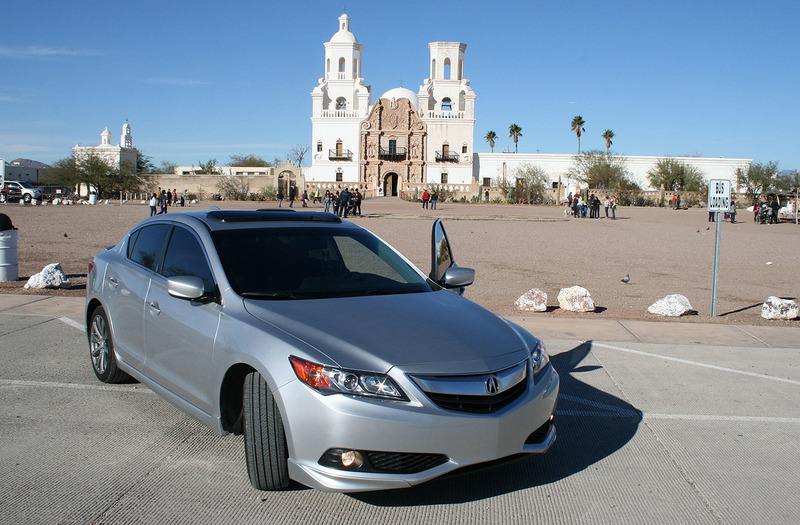 Which is the more fuel efficient ILX, the manual or the auto? Carlos, I’ll have to get back with you on the RPMs at 60, but I know it’s around 3,000 at 70. Definitely higher-revving than the 6-speed Legend with its low-end torque. On your question about fuel economy, I believe the ILX automatic may be better on fuel than the standard. This is due in part to the fact that the automatic is powered by a 150-horsepower 2.0 liter as opposed to the 201-horsepower 2.4 liter in the MT cars.